Well now! The good folks over at Bad Reputation are really pulling out all the stops with two rather surprising and very unexpected additions to the upcoming metal pilgrimage to LimROCK city! On top of the eight killer acts previously announced to date. They have just landed a couple of rather unexpected bombshells. Firstly! 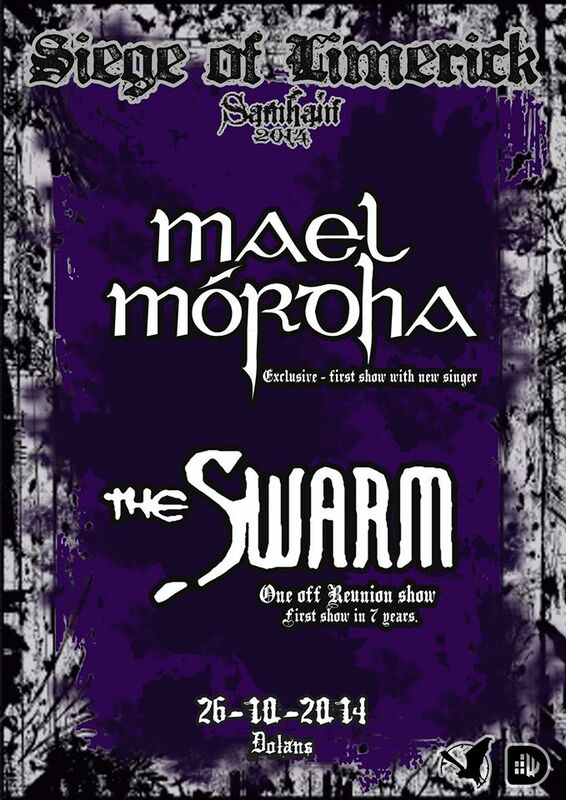 Legendary Limerick Death Metallers, and IMA favourites, THE SWARM will be re-uniting for a one-off performance and their first on about seven years. You can check out both of the bands releases right here on the Irish Metal Archive… “Bruise The Flesh To Black” and “Six Acts Of Atrocity”. Also announced just last night…!!! 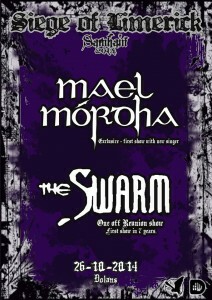 The mighty MAEL MÓRDHA are set to return to the fray. The departure of founding member Roibéard Ó Bogail earlier this year left a rather big question mark over the bands future. But the three remaining members made the decision to carry on and are now set to make their first live appearance with their new vocalist at the Samhain 2014 installment of the Siege. No official announcement has been made yet as to who this new recruit is. But Dave Murphy has ensured me that an official reveal will be made very soon. So stay posted for more on that when the time comes.